Bring your dog in and get $4.00 off any service. Sick of waiting an hour for an express oil change? 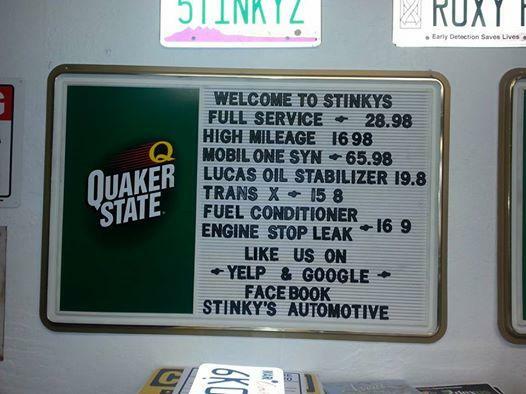 Come to Stinky's Express Lube and we'll have your oil change done within 20 minutes! We pride ourselves on customer service and fast turnarounds, without comprising the quality and care of our work. 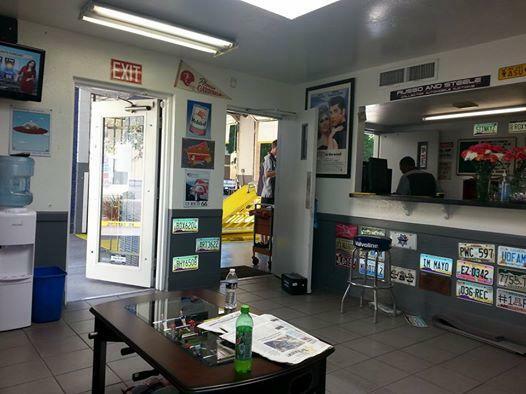 We will perform a 16-point inspection and let you know the status of your vehicle, so you can make an informed decision without pushy sales pitches. 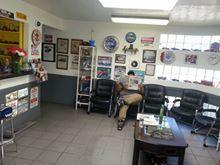 In addition to oil changes, we also offer fuel injection cleaning, transmission flushes, power steering flushes, radiator flushes, air filters, and fuel filters. 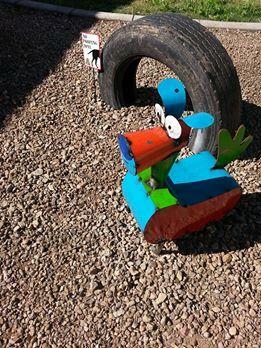 We love our community and offer ASU student discounts and are pet-friendly. 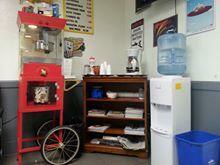 Come in to see what a real express oil change service has to offer. Se Habla Espanol. 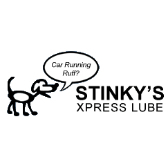 Currently there are no reviews for ' Stinky's Express Lube '.